Thank you for your interest in one of Mercedes-Benz of Henderson's online offerings. 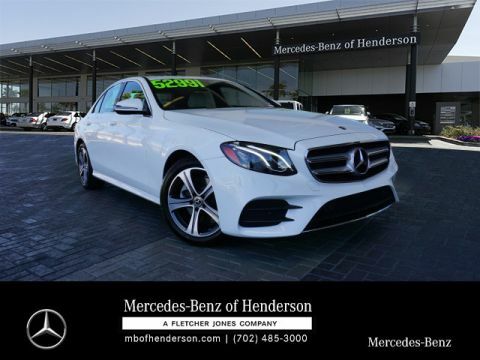 Please continue for more information regarding this 2019 Mercedes-Benz E-Class E 300 with 4,215mi. 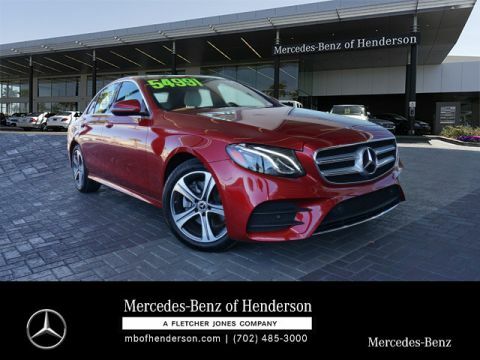 Quality and prestige abound with this Mercedes-Benz E-Class. Beautiful color combination with Designo Diamond White Metallic exterior over Black interior making this the one to own! The quintessential Mercedes-Benz -- This Mercedes-Benz E-Class E 300 speaks volumes about its owner, about uncompromising individuality, a passion for driving and standards far above the ordinary. This is the one. Just what you've been looking for. We have a skilled and knowledgeable sales staff with many years of experience fulfilling our customers needs. Our team will work with you to find the right vehicle at a price you can afford. Experience the Fletcher Jones difference here at Mercedes-Benz of Henderson.